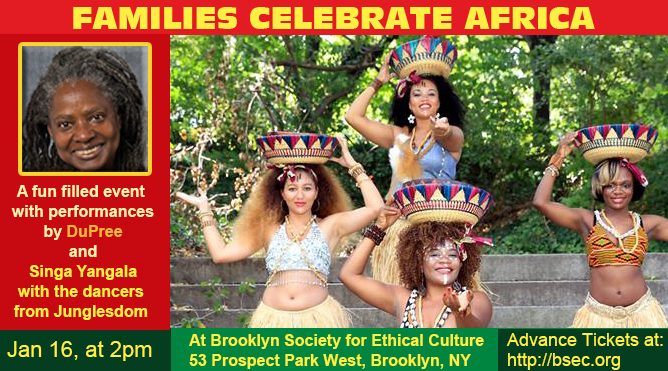 The Brooklyn Society for Ethical Culture offers a fun-filled family event to celebrate Martin Luther King Jr with African music, drumming and dance, face painting, African crafts, food and costumes. DuPree and Barry Kornhauser will perform songs about MLK’s life and Simba Yangala and the dancers from JungleDom will guide children through a relaxed African dance lesson, followed by a performance that welcomes the participation from both, children and adults. $5 for adults and teens accompanying a child. Proceeds from this class will help provide scholarships for BSEC’s Ethics for Children Classes. 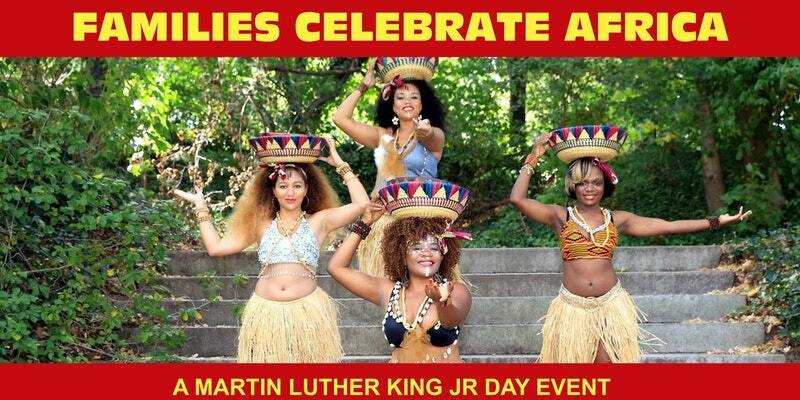 The Brooklyn Society for Ethical Culture offers a fun-filled family event to celebrate Martin Luther King Jr with African music, drumming and dance, face painting, African crafts and activities, stories, food and costumes. DuPree and Barry Kornhauser (and guests) will perform songs about MLK’s life and Simba Yangala and the dancers from JungleDom will guide children through a relaxed African dance lesson, followed by a performance that welcomes the participation from both, children and adults.